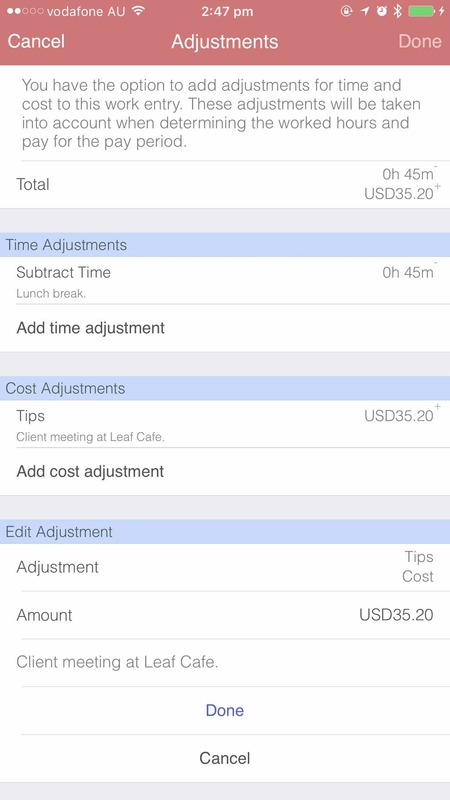 To edit an adjustment, simply tap on the adjustment cell where it will bring up the editting fields. When you are finished, press 'Done'. 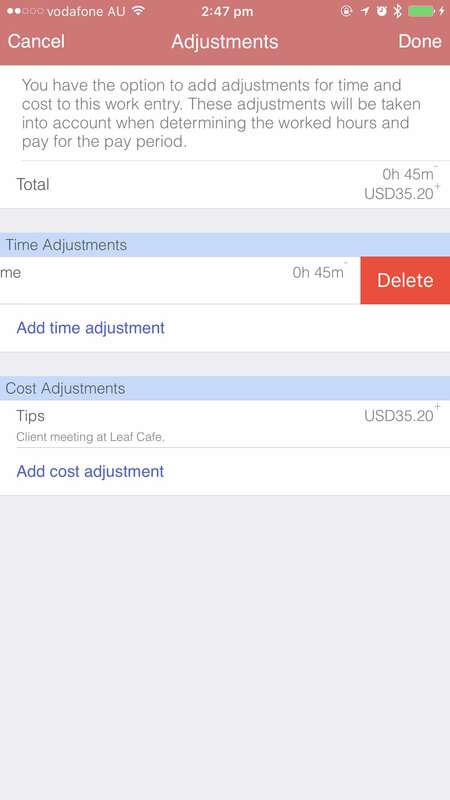 To delete an adjustment, simply slide to bring up the delete button for that particular adjustment. 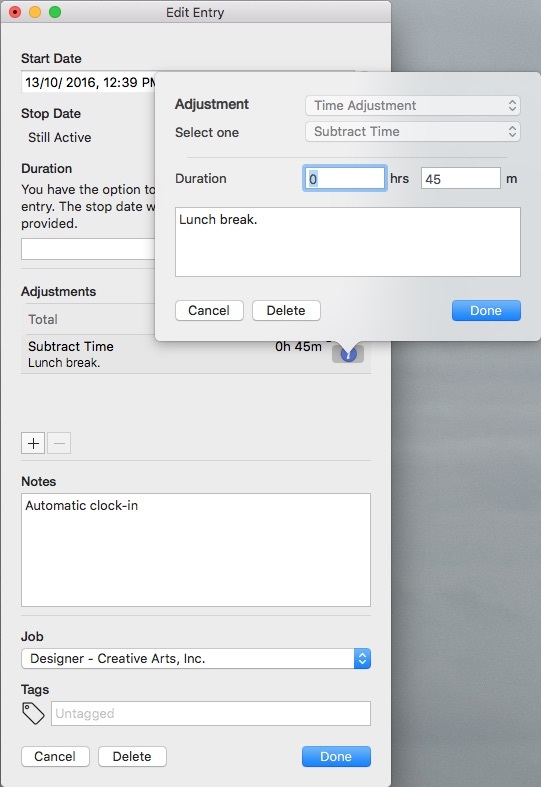 Click on the adjustment to bring up the 'info' button, where you can edit or delete the adjustment for the work entry.